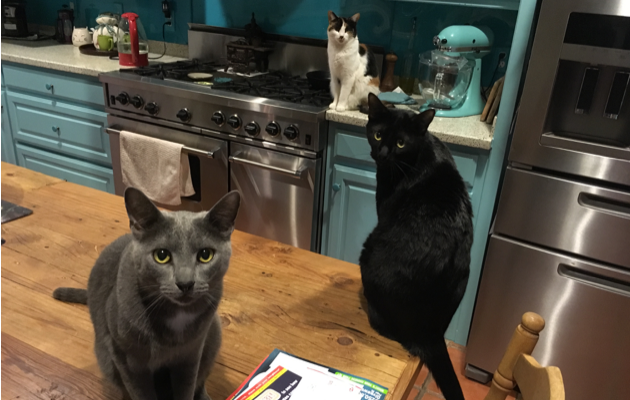 Waiting for me, or Hubs, to give them their afternoon snack. 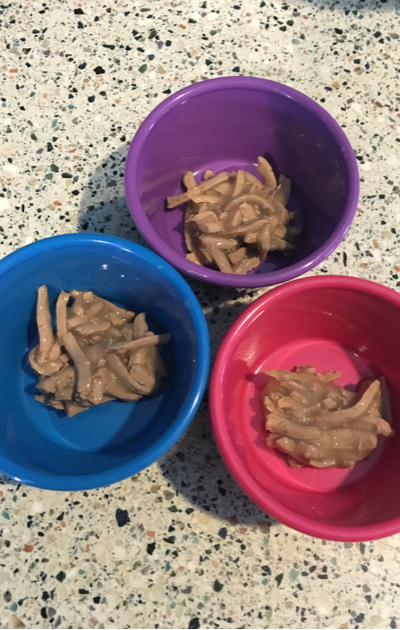 For a morsel of canned food sometime before the designated Frisk-o’clock of 5.
and gulp down the tender shreds while Callie waits a little longer, licking her lips and craning her neck around the fridge for my return. 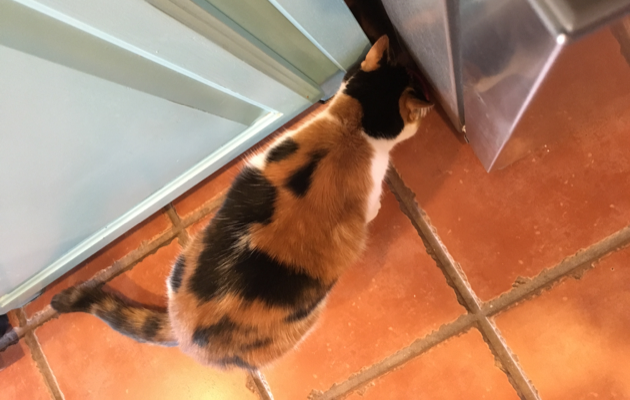 I place her pink bowl in a corner against the cabinet to stop it from moving across the tile floor and she alights softly making a sweet little grunt as she hits the floor to take up position. 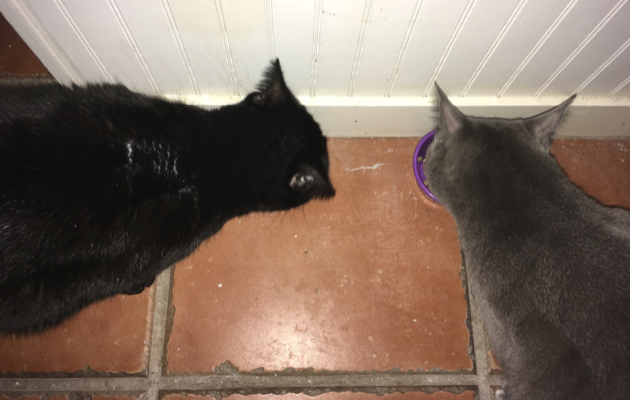 The boys then check each other’s bowl for left-overs, they know better than to mess with Cal. And that’s it…over in five minutes flat! The silent art of anticipation is at an end until the morrow when it all begins again.